It's a bit sad the tasting notes are only in Swedish. In the left corner (behind the glass) some very rare Bowmore. Some of the open Karuizawa's and other Japanese stuff @ whiskybar akkurat, Sweden. First number is year of distillery or age. Second is % alcohol. Third is price/CL! In 'Kronen'. The Karuizawa 1981 = 126 'Kronen' = 17€ for ONE cl. Not cheap. But worth every single euro. Finally I could taste this bottle. And it's GREAT! 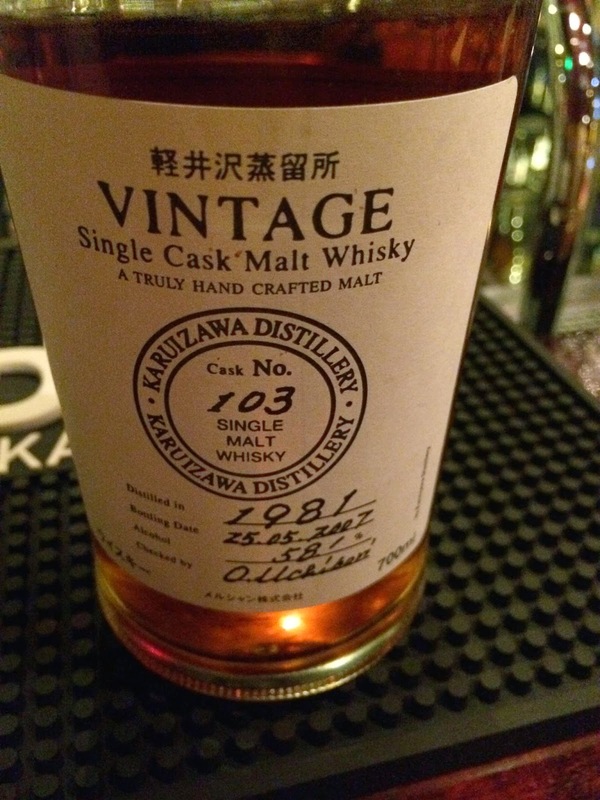 Complex but elegantly sherried Karuizawa. Nicely balanced. The taste lasts forever. 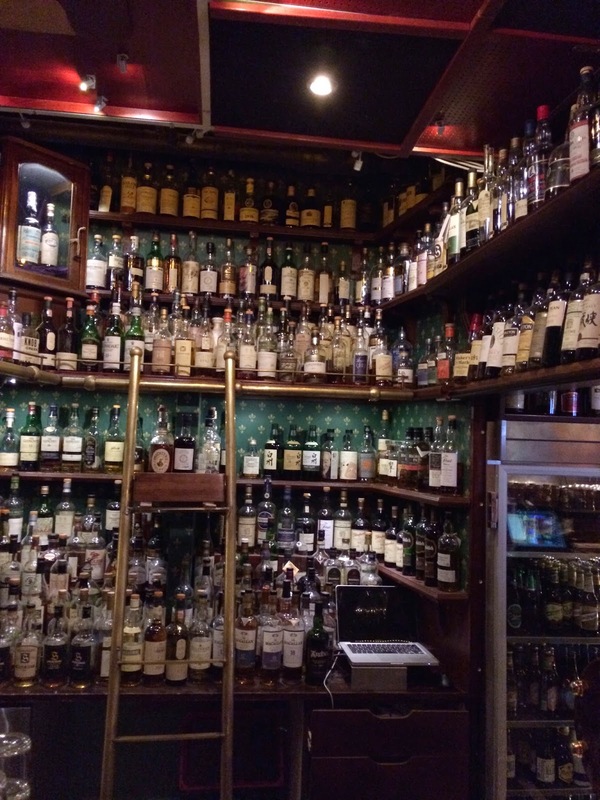 Tasted @ Stockholm in whiskybar AKKURAT. Thx Hasse for the tip! The price of this bottle is also very Karuizawa-like. Always great to see collectors with a lot of open bottles.